A little girl was walking down the Indian Shores Beach near Tampa, Florida, when she saw something she thought was a Cheeto. When she picked it up, the girl realized it was a seahorse in desperate need of help. The child put the tiny fellow into her sand bucket, filled it with water and rushed to show the seahorse to her mom. They called the Clearwater Marine Center (CMA). 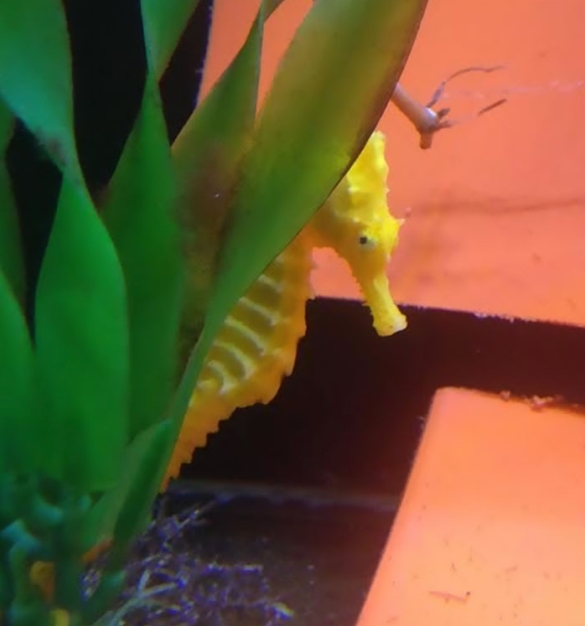 After close examination, it turned out to be a female lined seahorse, a type that changes colors to match its surroundings. She must have lived in red and orange sponges before being swept to the shore – thus the orange color. 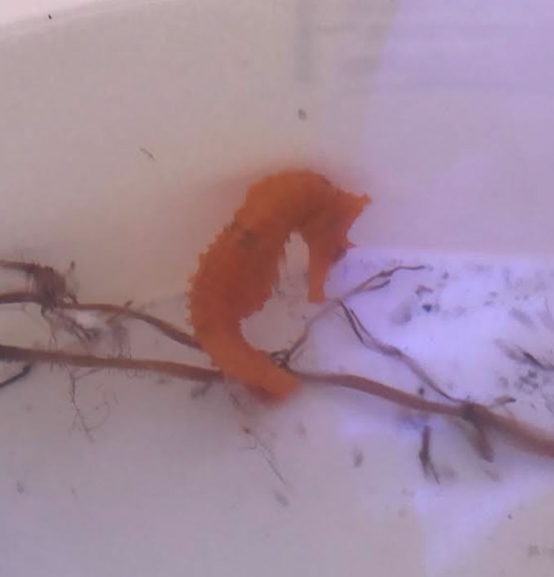 The Marine Center, which dubbed the female seahorse Cheeto in honor of the little girl that rescued it, said the seahorse started eating grass shrimp after a few days of rehabilitation. 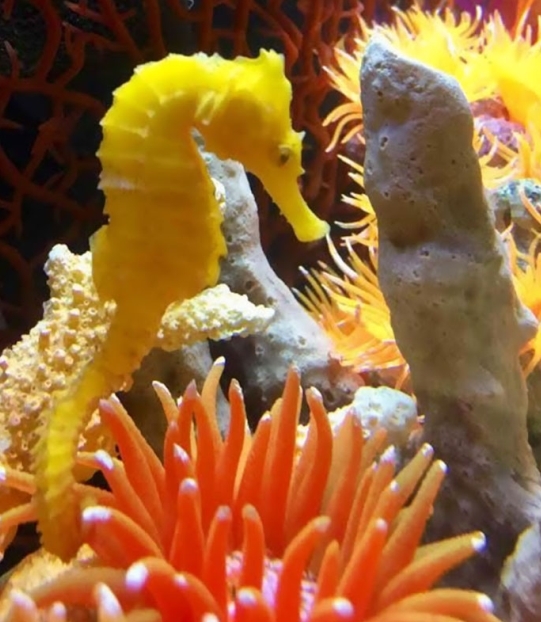 Officials said the seahorse is growing stronger and will eventually be released back into the wild. 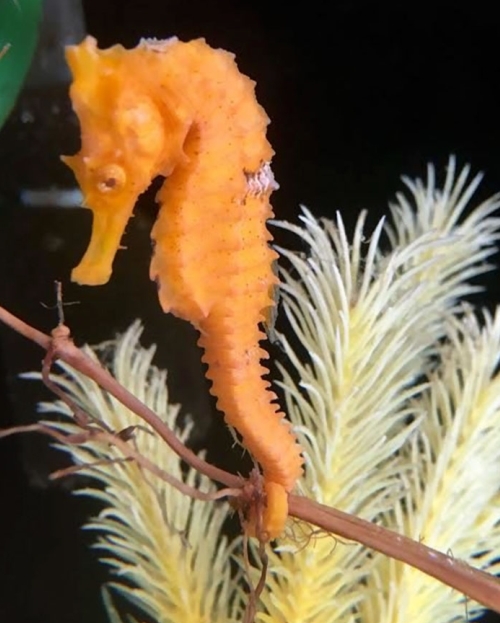 "Although initially appearing very orange, Cheeto now has taken on a bright yellow color," the aquarium said. "Color change is common in some seahorses, which have an ability known as crypsis to camouflage and match their surroundings." "Each creature is important to us, and we are fortunate to have the opportunity to rehabilitate Cheeto," said David Yates, CEO. 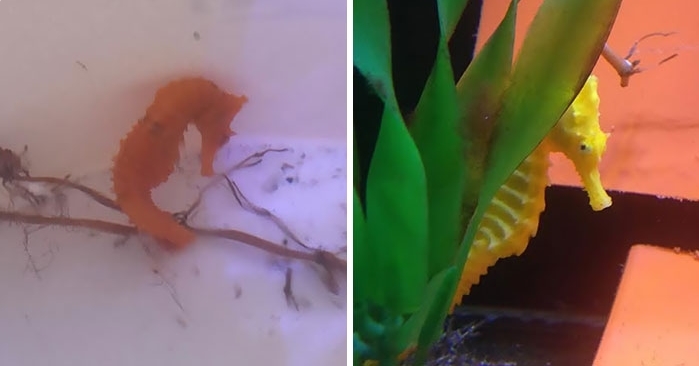 Responses to "Girl Rescues Orange Seahorse, The Creature Turns Yellow Once She Feels Better"